Even today many villages in West Africa are not served by passable roads, making it difficult to get farm produce to market. 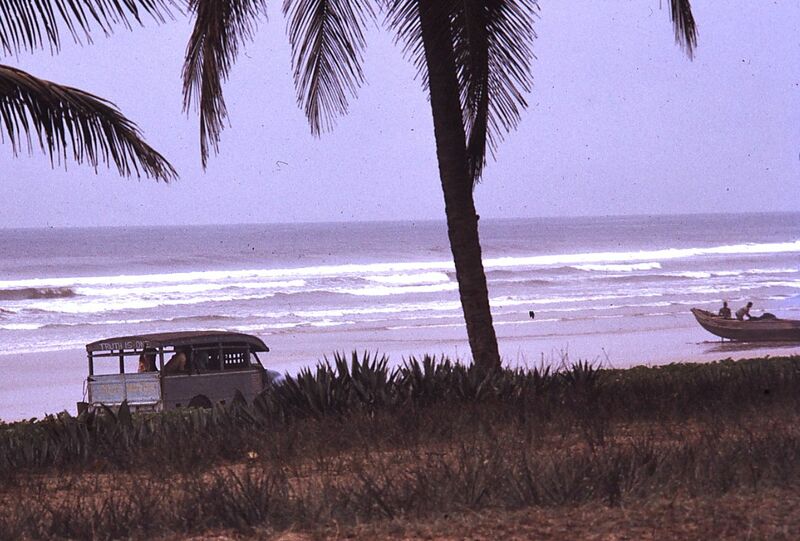 In the early 70’s, transport to the village of Newtown, west of Half Assini and located on a narrow spit of land that extends into the Tano River lagoon was only possible on the beach at low tide. Lorry drivers had to have a fisherman’s knowledge of tides in order to safely make their trips in and out of that area. Gee, put all these posts together and you’d have a lovely coffee table book. I look forward to the next one-how about that famous shot of our C.U.S.O group. Now what in heaven’s name would u write below that pic….